If you don’t already know, we are lucky to be part of Chad Valley’s Play Panel. S has been busy testing out their selection of Road Rippers vehicles which are aimed at children aged 3+ years old. 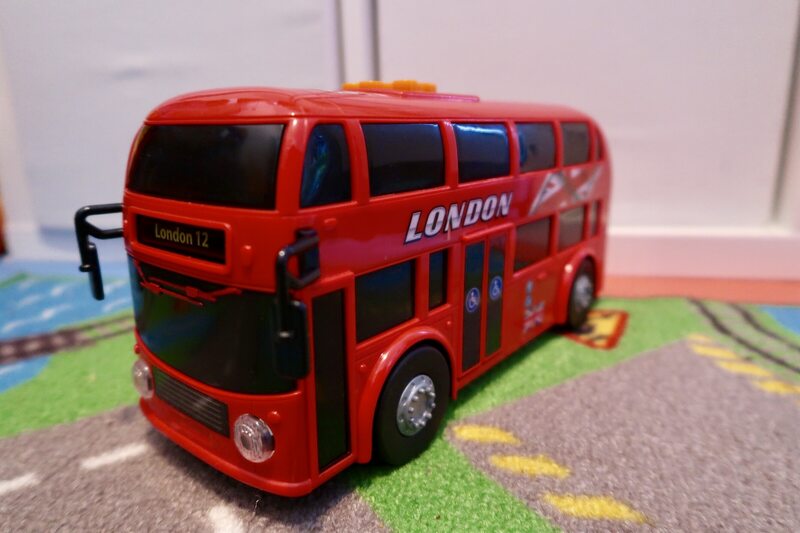 First up is the Chad Valley Road Rippers Double Decker Bus, which was made to look just like the red buses you would see in London. The bus has a range of interactive buttons on the top which make engine sounds, a horn and play music as well as a button which sets the bus off on it’s journey. Even the doors open and close. 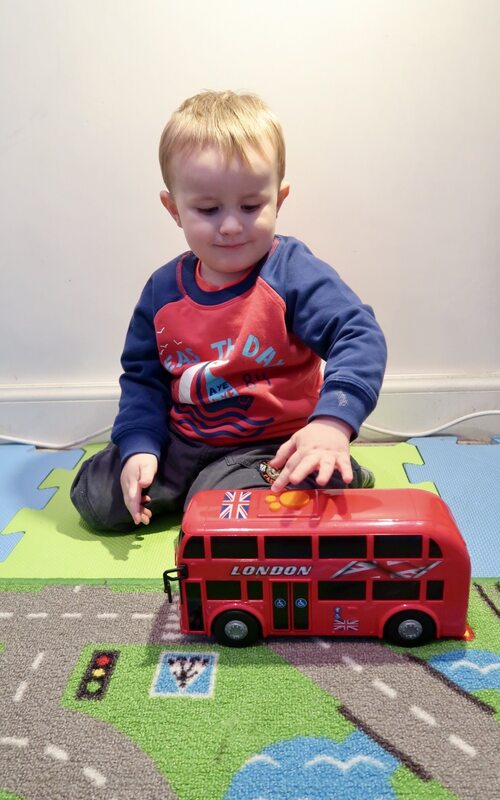 S found the bus great for racing across the living room floor and also driving along his play mat. The Chad Valley Road Rippers Double Decker Bus is currently priced at £12.99. Next up is the Chad Valley Road Rippers Garbage Truck. Just like the bus it has a range of buttons on the top for driving the truck froward, music and setting off the lights. 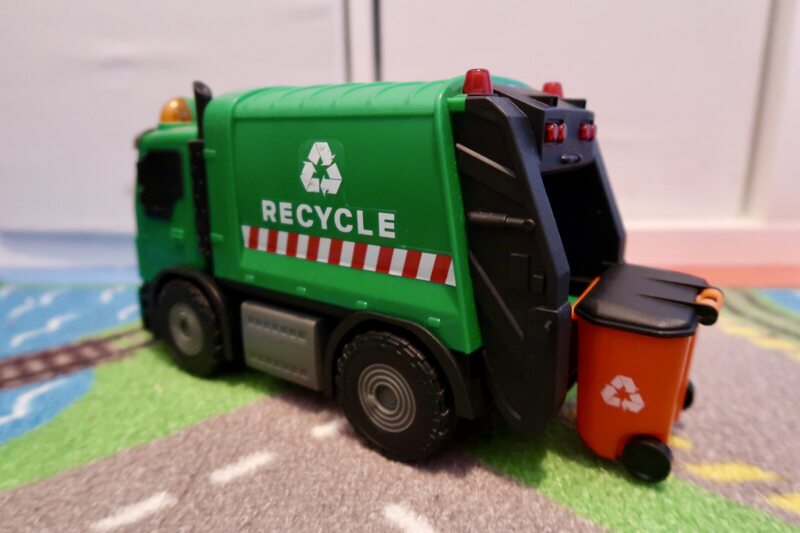 The garbage truck comes with a wheelie bin which can be lifted up to the truck at the touch of a button – just like the real thing! S has discovered that the wheelie bin can fit quite a bit of chalk crayons in it – as I found them hidden inside! 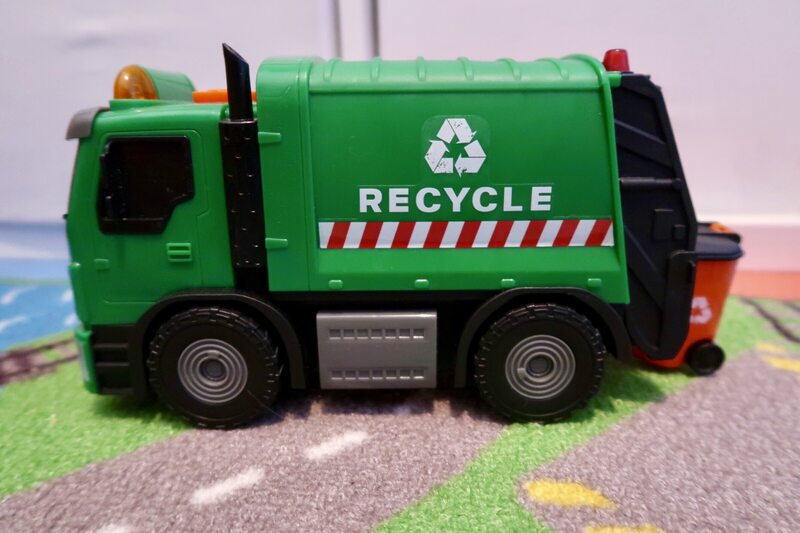 The Chad Valley Road Rippers Garbage Truck is currently priced at £12.99. 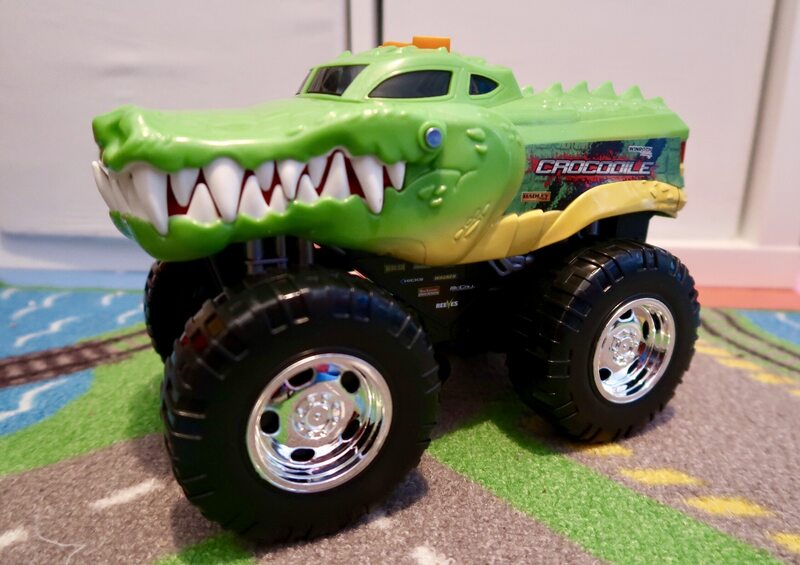 The third vehicle in the range is the Chad Valley Road Rippers Monster Croc Truck. This truck can roar into action – and as I’ve found out, chase mummy across the living room floor, much to S’ amusement. It plays arena rocking songs, monster motor sounds and has a motorised driving button which sends it off, giving a wheelie action as part of it’s tricks. Out of the 3 vehicle’s I think this was his favourite – mainly for the above reasons! It is currently priced at £9.99 with the usual RRP of £11.99. 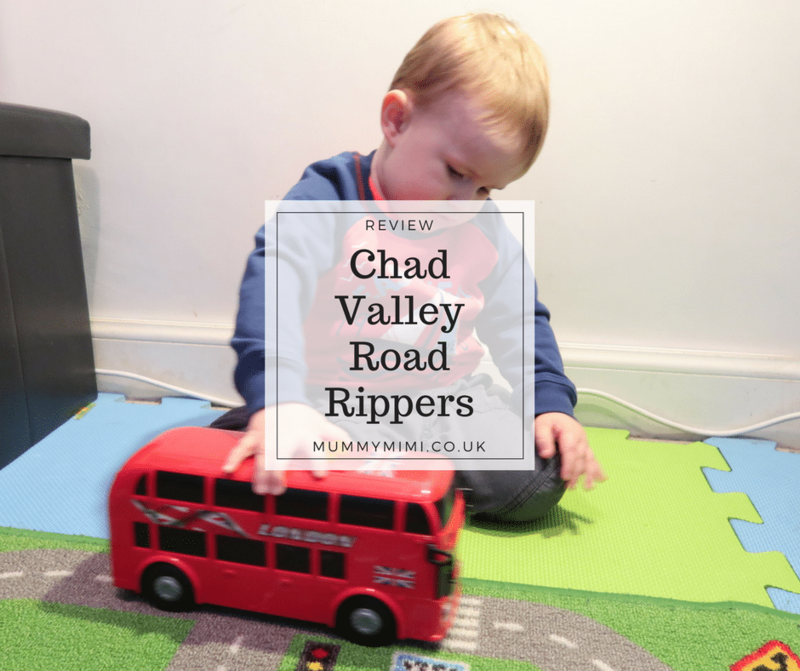 Overall S has loved playing with these three vehicles in the Chad Valley Road Rippers and I have loved hearing him playing away using his imagination to make up stories of the adventures the vehicles get up to – usually with the Monster Croc Truck chasing everyone!